The crackdown by the Mumbai Traffic Police on drunk driving coupled with their friends having near-death accidents inspired three young men to fill a glaring market gap in the night life of Mumbai. 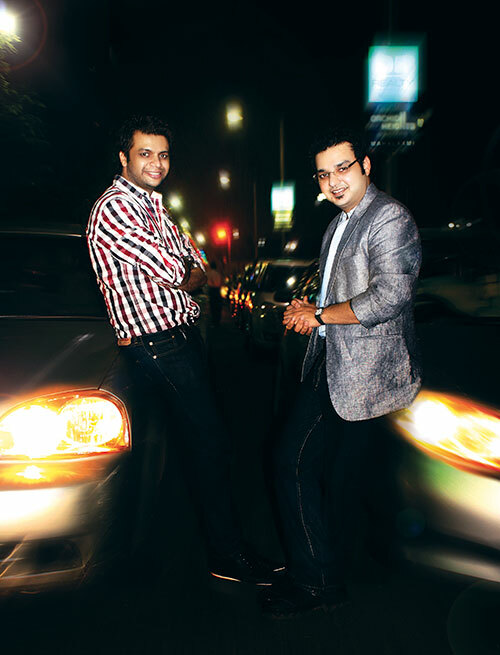 Ankur Vaid, Saurabh Shah, and Mishal Raheja are the intrepid pioneers behind Party Hard Drivers (PHD) which, since its inception in 2007, has garnered acclaim for its indispensable services to the city’s party animals. As partners they are perfectly balanced “in terms of what we bring to the table individually,” as put succinctly by Ankur, who is involved full-time with PHD. Saurabh is a practising stock broker (which is where the dream for launching an IPO for PHD comes from) whilst Mishal is an actor by day. Having expanded the scope of PHD (mainly via word of mouth) to include 200 drivers, day services and outstation trips, these young men – who were nominated earlier for the Tata Nen Hottest Start-ups and the MTV youth icon awards – love to spend their after hours over drinks or watch movies and when possible, in travel. On the anvil next is a PHD in other metros, to reinforce their message not to drink and drive.